My name is Jenny and I’m slightly obsessed with planning parties! I feel like I should be in some sort of party planners anonymous meeting! But in all seriousness, I don’t know what it is, but I just love party planning…possibly even more than the actual party! I really enjoy coming up with a theme and then browsing through Pinterest for inspiration for decorations, games and foods I can serve (you can check out my Pinterest here to see all my various party planning boards!) And I love to help plan other people’s parties too – whether it’s a birthday, a baby shower or a hen party – I’ll be happy to help plan it. Over the last few years I’ve organised a Disney themed Hen Do, an Alice in Wonderland birthday and a Pamper Party. And now I’m planning this year’s birthday (Rainbow Unicorn themed!) and my sister-in-law’s baby shower. It’s all very exciting! As much as I love party planning, it can get pretty stressful with trying to organise everything, so I’m always looking for ways to reduce that stress and make things a bit easier. And one way I can do this is by finding places where I can buy everything I could possibly need. 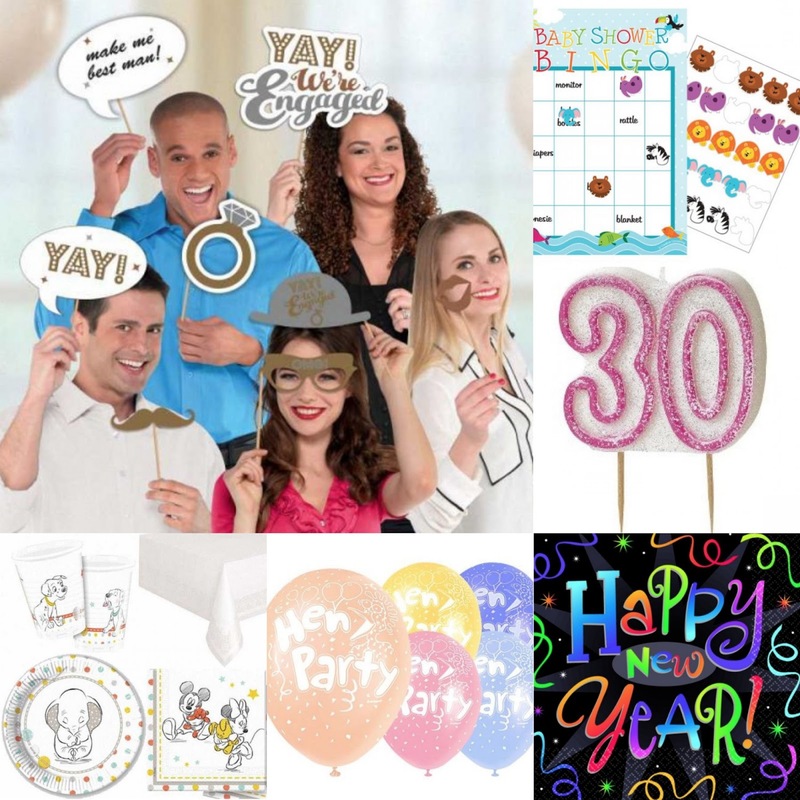 Somewhere like Party Bags & Supplies, who offer a huge range of party accessories from filled party bags and decorations to dressing up clothes and tableware. They sell everything you could possibly need for whatever kind of party you are planning. 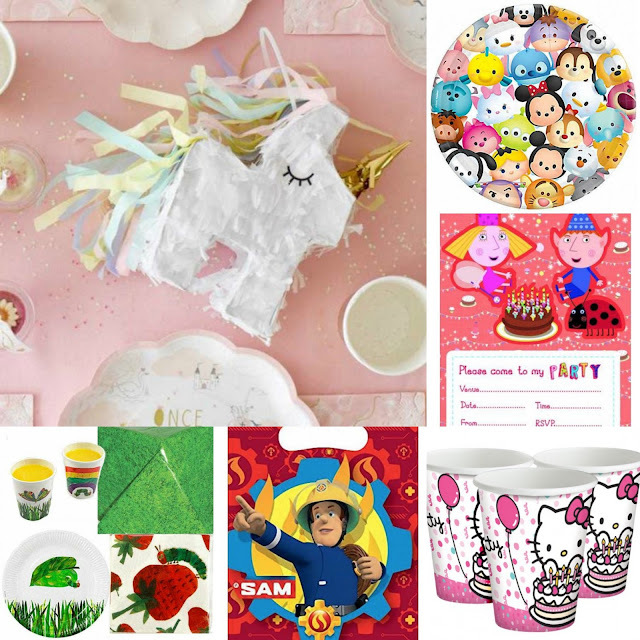 If it’s a children’s party you’re organising, they offer a huge range of different themed products including Paw Patrol, Pokémon, Trolls, Unicorns and Superheroes. They also offer accessories for teen and adult’s parties, and these include products for specific ages, Glitz and Glamour and Sports Themed shindigs. And if it’s something other than a birthday you want to celebrate, there are plenty of products for Christenings, Engagements, Hen and Stag Nights, Weddings, New Year and Easter to name but a few. If you meet the conditions above, then all you need to do is fill in the Rafflecopter below and keep your fingers crossed that you win! Good Luck! Are you planning a party or celebration at the moment? I would love to hear all about your party plans! I'm planning a 1st birthday party for my youngest! I want to do a Xmas party for my son and his friends so this would be fab! Ah I hope she has a lovely time! Ah wow I bet he had an awesome time! I miss being young enough to have kids parties - being an adult gets boring! I'm planning a Halloween party. My first ever! The kids are really excited! I hope he has a great day! That's OK Anni :) A Batman party sounds awesome! My grandson Jacobs first birthday at the end of the month! I hope he had a great time! Oh wow sounds like it could be a good party!